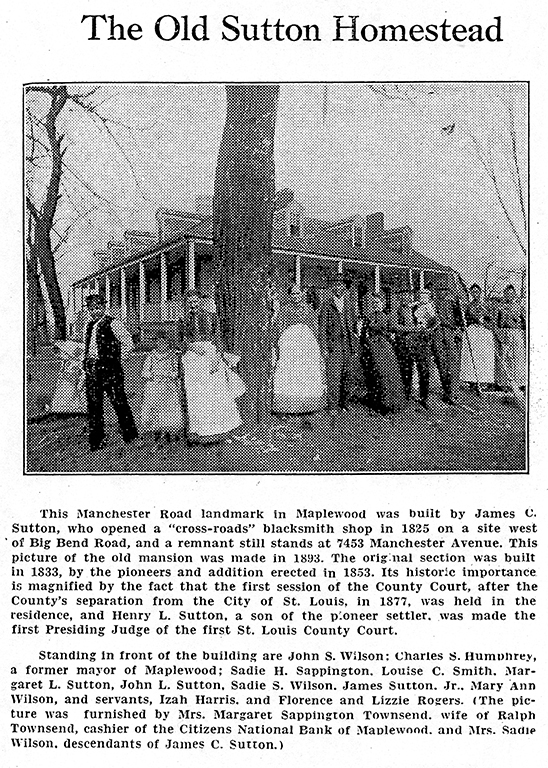 Beginning in 1832 and for the next 122 years, about 7 miles from downtown St. Louis, anyone headed west on Manchester Road would have noticed a large mansion, solidly built, on the north side. This would have been the homestead of the Sutton family. For the first 45 of those years, I have the feeling that James C. would have been firmly in control. 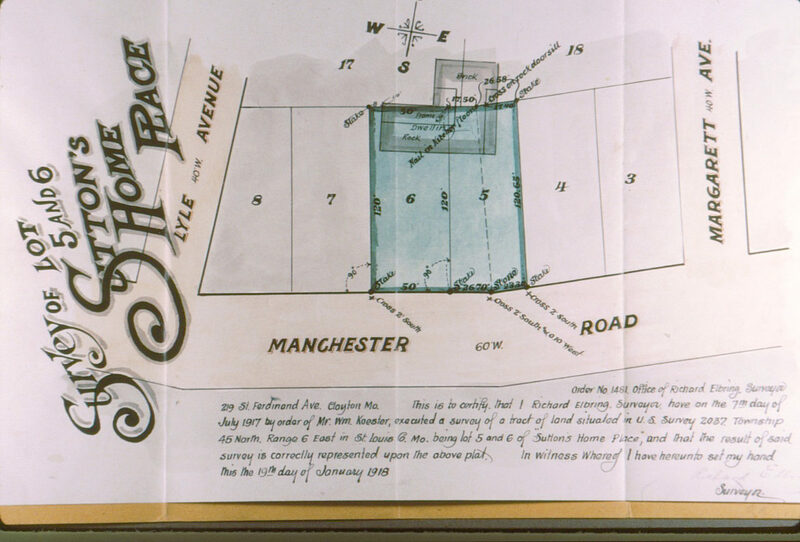 Then as we have seen in the last couple of posts the property was divided among his heirs following his death in 1877. 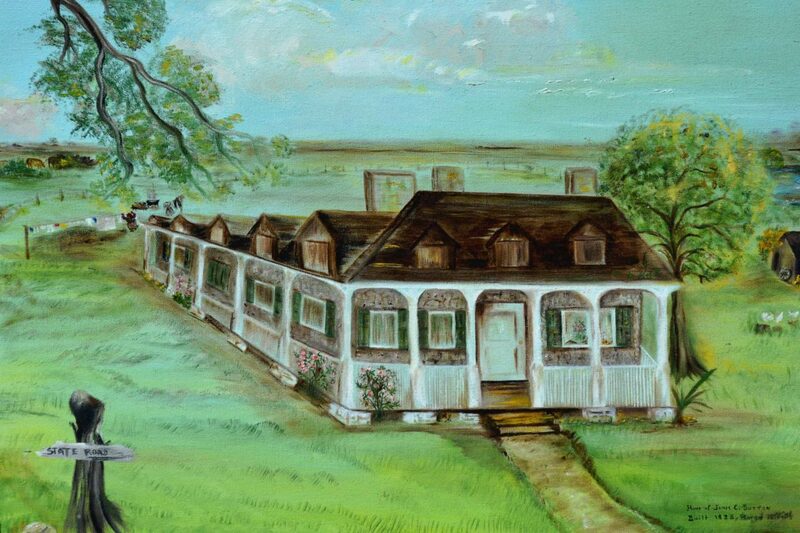 Thus began the process that gave birth to our community 31 years later in 1908. If we were able to recover any of our lost structures, I would vote for this one. This was certainly one of our most important historic buildings not only because of its very early date of construction. Most if not all of it would have been handmade, I think. If anyone has information to the contrary I’d love to hear it. 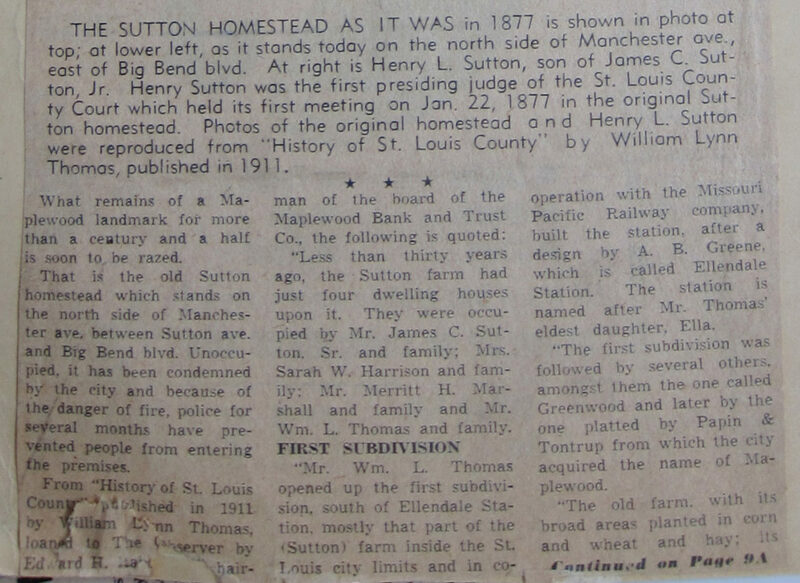 It was also historically important as the birthplace of St. Louis county. It was here the first meeting of the St. Louis County Court was held. James’ son, Henry, became the first presiding judge. 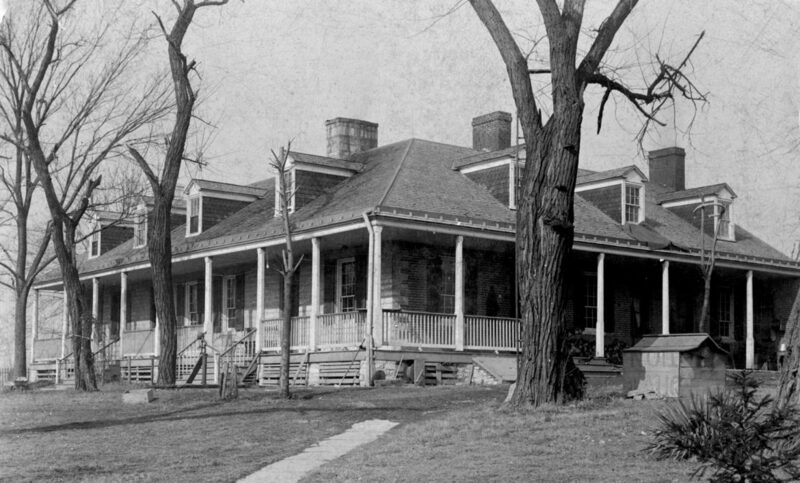 Unfortunately the mansion was built on property that would become very valuable commercially. By 1954 it had to go. Have we learned anything about preserving our most important historic artifacts in the years since? Not much in my opinion. Consider the dismantling of the cabinetry from the historic Harper’s Pharmacy. Look at the beautiful draftsmanship in this survey from the collection of the Maplewood Public Library. It’s suitable for framing. This image is another of the treasures in our library’s collection. The back of the previous photograph. Dawn Yourtee at the library is descended from Charles Silence. (Whoops. My mistake, it’s Dawn’s son-in-law who is the descendant of Mr. Silence). Also from the library’s collection. Who are some of those folks? Here you go. Also from the collection of the Maplewood Public Library. The fine old building was an inspiration to artists. 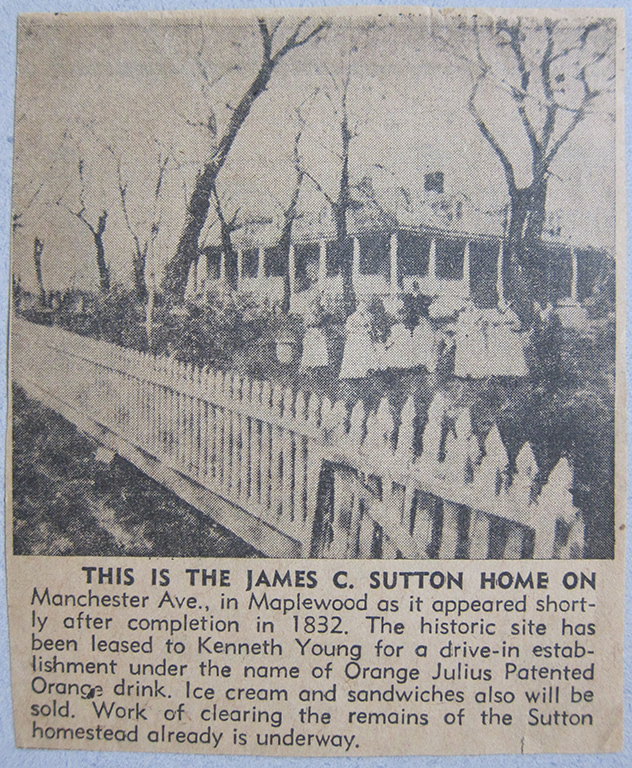 John L. Sutton, a descendant of James’ son, Henry, was kind enough to send me this image along with the following information. 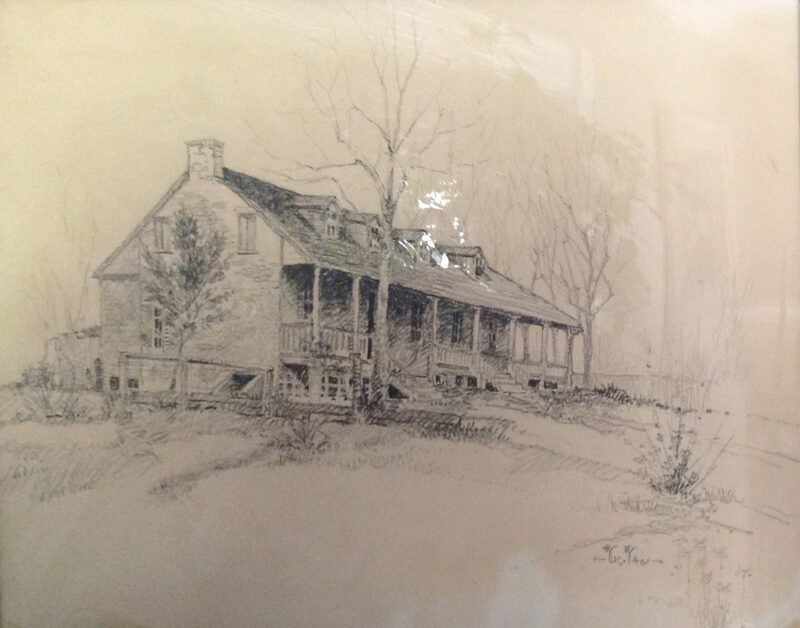 It was painted from memory by his mother, Frances Alexander Sutton Alloway in 1978. The painting was presented to the county commissioner, Gene McNary and was displayed in the administration building for several years. It was returned to the family prior to a remodeling of the building. 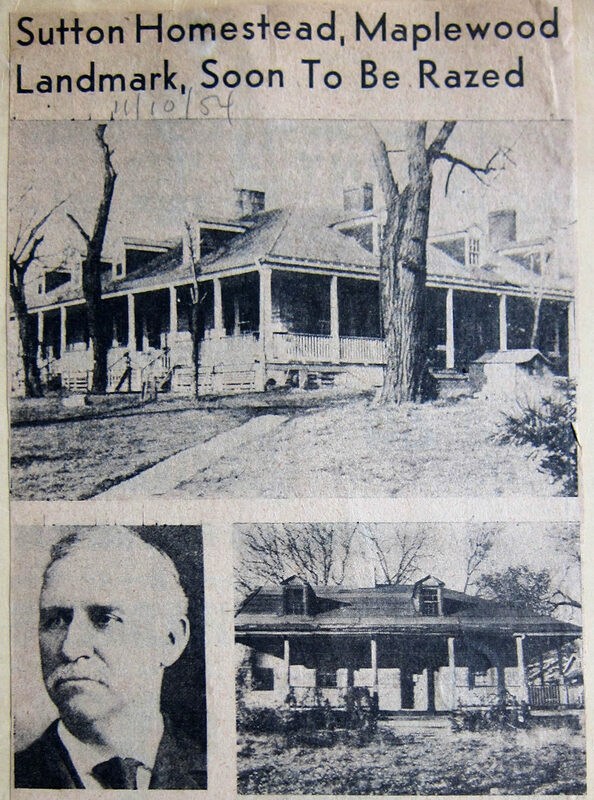 From the 1909 Plat Book of St. Louis County. From the collection of the Maplewood Public Library. And the surprise at the end? Here it is. Much appreciation to Frank Absher who holds the copywright on this bio of Vic Vac. I sure hope you don’t mind my using it here, Frank. I’m not getting paid for this. You can borrow some of my stuff if you like. Great article Doug. I love reading about the history of our fine city! 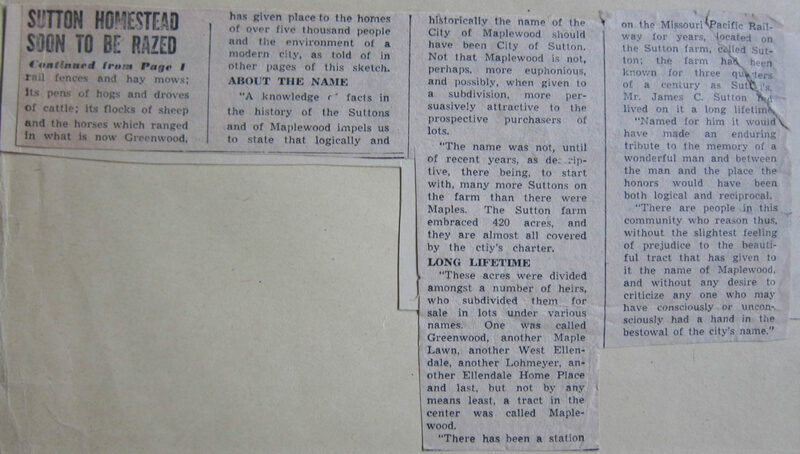 Thank you for keeping Maplewood history alive! You are welcome, Cathy. It is my pleasure. Wonderful to see these photos and records. Thank you! You are quite welcome, Pickett. I’m glad you like them. Thanks for the encouragement. This is all very interesting. I’m wishing now for some interior photos. Do you have any idea if there are any? Thank you. Doug, as far as you know was anything salvaged from the original homestead? Maybe some family member kept a door knob or a cabinet or door? The talk about the police keeping people out and that it was considered a fire hazard makes me wonder if anything of value was already stripped out long before it was torn down. Just seems kind of strange that someone did not keep some of it. Mark, I’ve never heard of the existence of something that was salvaged from Sutton’s home. In my experience I believe that once the original salvor had passed there would be little inclination for whoever wound up with the item/s to keep them. They may not know what they were or where they came from. Sad to say they probably would not want them even if they did. These sorts of things usually wind up in an estate sale or a landfill and most often the latter, I’m afraid. I speak as someone who has played the role of salvor and seen the ultimate disposition of some of the items I’ve “saved”. Thank you for your comment. 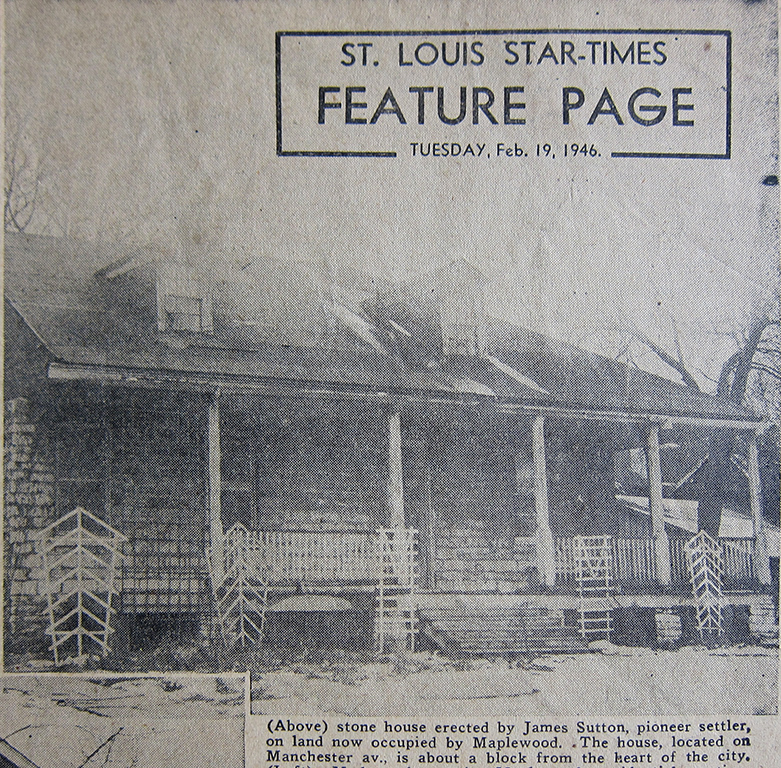 If you go to the St. Louis County GIS site you can see an aerial view of part of the house from 1955. I am guessing from the news paper article above, that part of the mansion was torn down before the 50’s, do you know if that occurred Doug? The picture above shows only 2 dormers when the original had 4 on one side and 3 on the other. 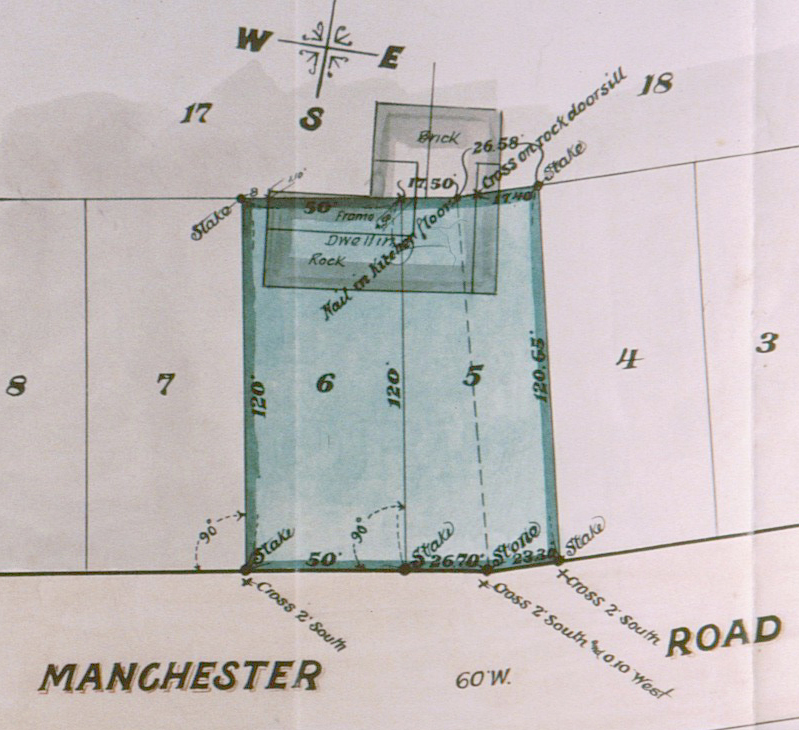 I also noticed from the aerial view, on the county website that there were also only 2 dormers on the Manchester side when there should have been 4. 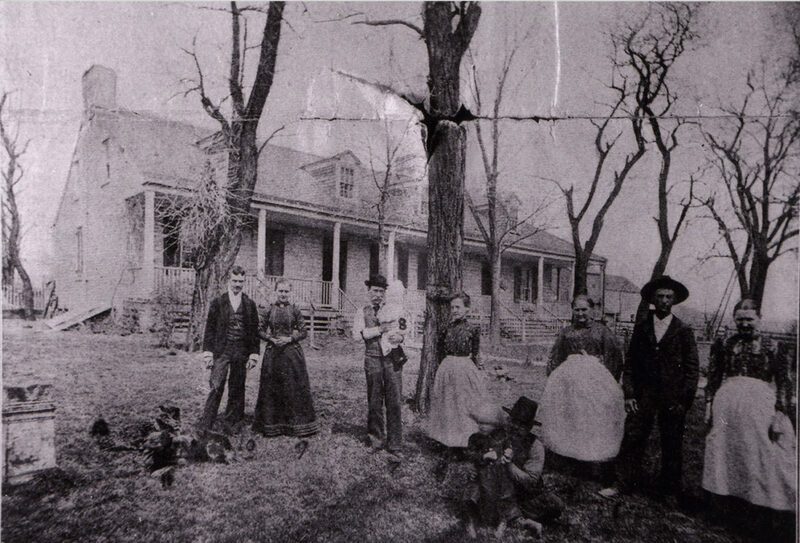 Do you know if the relatives did this when the property was divided? That’s a pretty cool site, Mike. It would be even cooler if I could figure out how to operate it. Is there anyway you could get a screenshot of Sutton’s mansion from that aerial photo? I don’t know how to find it. I will see what I can do Doug, it was hard for me to figure out how to change the photos to the different years. 1955 is the year that has nice clear photos, 1937 and the ones from the 60’s are horrible. I will navigate it and see if I can give you instructions on how to change the view. Hi Mike, I believe you are correct in assuming that part of the mansion had been demolished an unknown period of time before the remainder of it was removed in 1954. In my very dim memory I seem to remember reading something about this most likely in the clippings in the Maplewood Public Library. 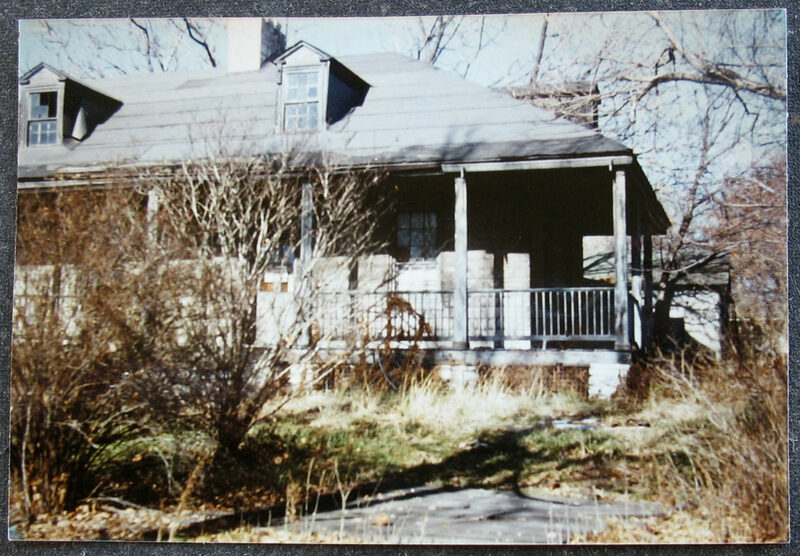 I think part of the mansion was demoed to allow the development of a lot that was surveyed off the original yard. It was probably to build a house but I’m guessing. 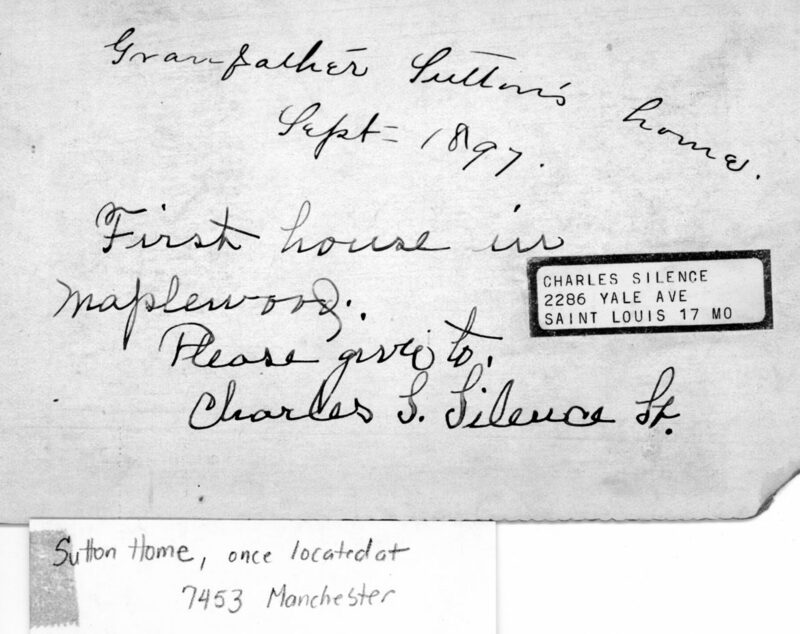 You’ll notice the survey was ordered by William Koester who was an early builder and councilman in Maplewood. 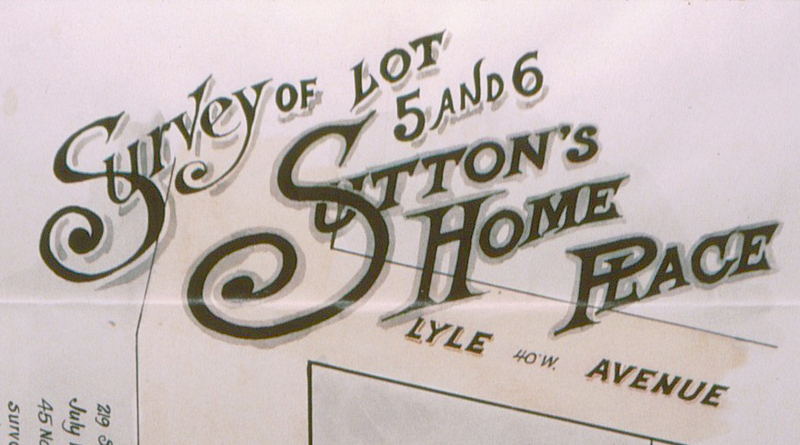 I imagine that all of James’ Sutton’s children were gone by the time the partial demolition occurred. If I ever stumble on that article again, I’ll post it. Much thanks for your comment. 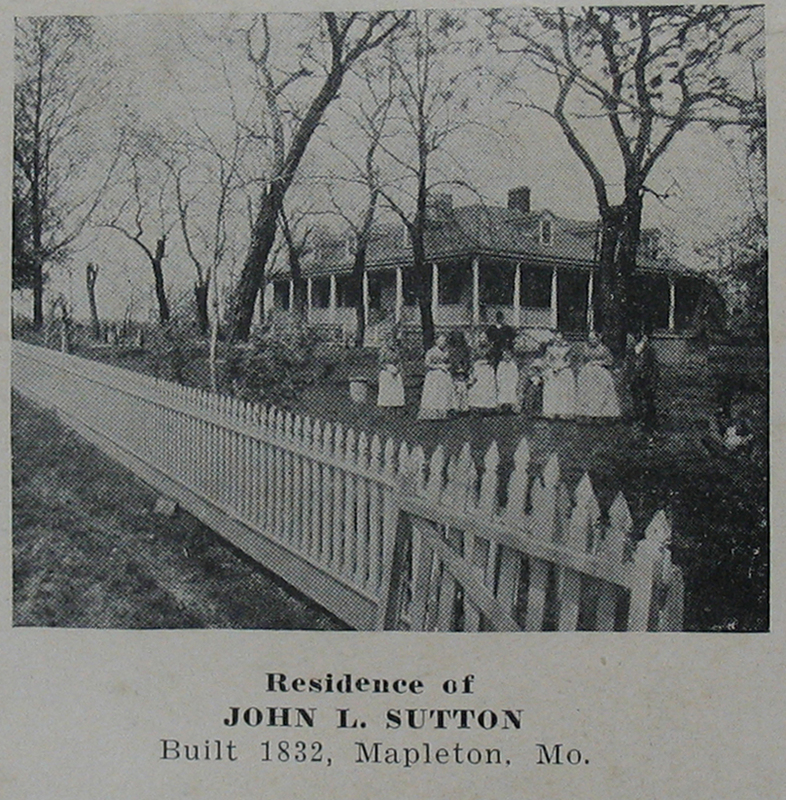 Nice, job, Doug, Innoticed that one of the photos depicted the Sutton House as being in Mapleton, MO. Was that our former name, or was it an error? 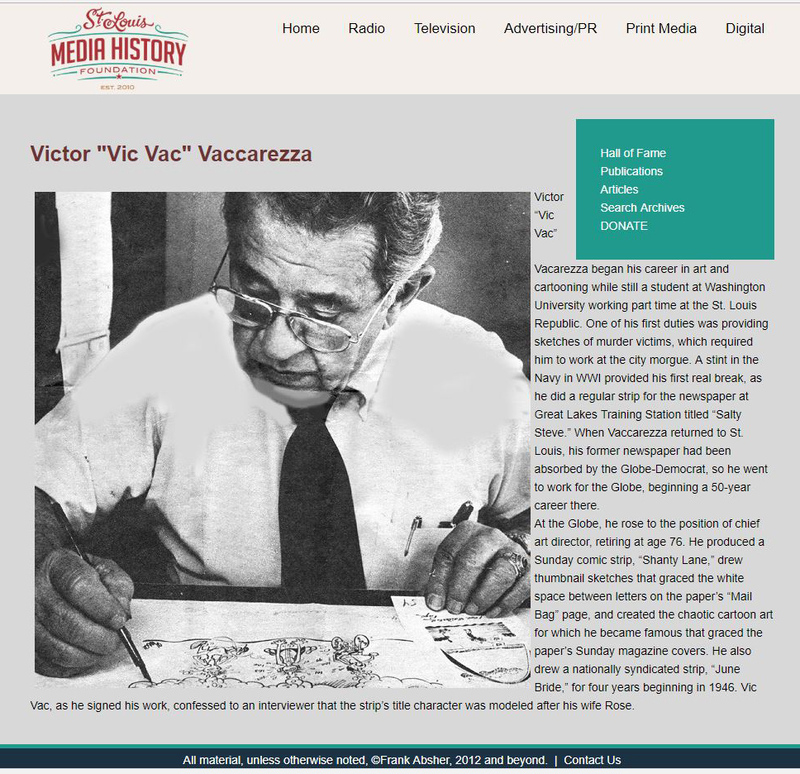 Also, as a young pup, I had the pleasure of working with Vic Vaccarrezza at the Globe. He was a gem. Thank you, Ralf. Mapleton was just an error. Imagine that, you knew Vic personally! I remember seeing some of his wild drawings in the Globe paper.